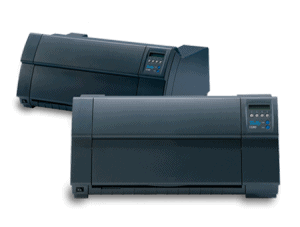 The Tally 4347-i08 dot matrix printers represent high throughput print speeds, rugged durability and unsurpassed performance under the most extreme conditions. These workhorse printers guarantee crisp, dark, clear and legible print thanks to the advanced engineering of the 24 pin print head. This head is built for long life and a heavy workload so even in the most challenging operating environment, you can be assured of the best in quality and performance. Low running costs and durability in the harshest of print environments make these products excellent value for the money. NOTE: Great replacement for IBM 4347 printers.